We keep this as simple – and as transparent – for you as possible. 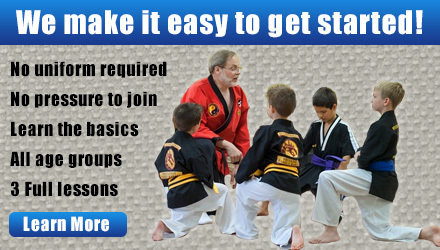 For most of us, life is complicated enough already without getting tied into knots over how your karate lessons work. The following points should cover the ground in this area pretty thoroughly. Try our 3 Lesson Introductory Course. This is the best way for you to get acquainted with our school, find out what goes on during lessons, and see if we will be a good fit for you and your family. This will also give you the chance to meet some of our instructors, and some of your fellow students. I strongly recommend this course as your first step for anyone who is interested in studying the martial arts with us. Please follow this link for complete information, including how to register: 3 Lesson Introductory Course. 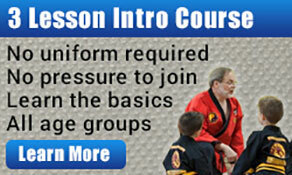 You won’t need any kind of special martial arts uniform for your 3 Lesson Introductory Course. Just wear something you can move around comfortably in – a t-shirt and shorts or sweats will be just fine. After that, should you decide to enroll as an ongoing student with us, we will provide you with your first uniform at no charge. 3) When Are My Lessons? For all of our new students, we have lessons available 6 days a week, Mondays through Saturdays, on a flexible schedule, designed to meet the needs of working parents and families. Please follow this link to find complete schedules, and attendance guidelines, for all our new students: New Students Lesson Schedules. 4) What Equipment Do I Need To Buy? That’s easy – None. For our new students, we have all the special training equipment you will need for your lessons on hand for you here at our school. You’re not going to be asked to buy a big package of special gear to get started. 5) How Do I Enroll As An Ongoing Student? Once you’ve completed your 3 Lesson Introductory Course, we’ll sit down together and talk about your experiences in class. 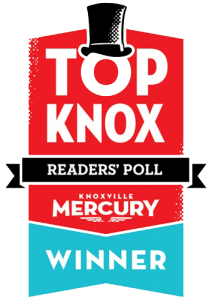 We’ll discuss any questions you may have, and whether we’re going to be a good fit for you going forward. At that point, if you’re ready to enroll as an ongoing student with us, it will take us just a few minutes to read over and complete your enrollment paperwork together. There is no extra “Enrollment Fee”. 6) What Fees Will I Pay? 7) Am I Going To Have To Sign A Long-Term Contract? That’s easily answered — No. We use a simple, flexible “Open Membership” that goes forward on a monthly basis. You’re able to “freeze” your payments at need (if you’re going to be out of town for several weeks over the summer, for example). Your “Open Membership” can also be cancelled at your discretion with a simple 30 day written notice to us. 8) How Much Is Tuition? Please contact our school directly by phone or e-mail for our most current tuition rates – including our special “Family Rate” for 3 or more family members. We’re happy to share these with you directly, and to answer any questions that you may have about them.